In this week's episode we look into the long history of beavers in North America and why we humans seem to always be in conflict with them. Plus when did skiing get so fancy? And can Sam teach show producers who've never skied how fun it is to careen down a mountain on two planks? Note: This is an hour-long broadcast version of our show made especially for the radio. This show is made up of stories subscribers to the podcast have already heard so it won't show up in your podcast feed. If you'd like to hear us on the airwaves instead of just in your earbuds, consider asking your local public radio station to air the show! And if you'd like to support the work that we do, consider supporting NHPR, the NPR member station for the great state of New Hampshire, and the entity that pays our bills. Thanks! Click on the individual segment titles to see photos, videos, and more! Beavers (Castor canadensis), have been kicking around in North America for 2 million years. Ecologically they do all sorts of great things: their ponds ease flooding downstream, and support large numbers of bird species, fish, amphibians, and otters. They're what's called a keystone species, as in the keystone to an entire eco-system. But they're also the world's second largest rodent and a nightmare for property owners. Humans and beavers have a long history together because they like to live in the same places, but the way we've built our infrastructure has almost guaranteed our two species will be locked in eternal conflict. Is skiing a sport reserved for rich people? It’s a question that has come up among the Outside/In crew a bunch this winter. Producers Maureen and Jimmy think so. They’ve never been skiing, and always associated it with exclusive resorts and tricked-out gear. Sam wants to prove them wrong. In this segment, Sam takes his skeptical colleagues skiing for the very first time to prove that it doesn’t have to be a fancy endeavor. Will he succeed? Will it be wicked expensive? Will they enjoy it? Listen to find out. Sam Evans-Brown, Maureen McMurray, Taylor Quimby, Molly Donahue, Jimmy Gutierrez, and Logan Shannon. Our theme music is by Breakmaster Cylinder. This week’s episode includes tracks from Ari De Niro, The Marian Circle Drum Brigade, Blue Dot Sessions, Revolution Void, Jason Leonard and Podington Bear. Check out the Free Music Archive for more tracks from these artists. We have created a trap for ourselves. A trap that ensures that we will come into conflict with nature’s most industrious rodent. A trap that also guarantees that we will come into conflict with each other as we try to sort out how to get out of this trap. That’s the conclusion I’ve reached, anyway, after spending the last few weeks researching beaver. Take Carol Leonard for example: a self-described “hippy-girl” who was the first registered midwife in the state of New Hampshire. (Incidentally, in what was perhaps the weirdest reporting coincidence I’ve ever come across, Carol was the same midwife who helped deliver me, 31 years ago.) When Carol retired to a beautiful 400-acre spread in mid-coast Maine, hoping to build her dream house, she and her husband ran head-first into conflict with beavers. A growing dam led to an expanding pond that was getting ominously close to where Carol wanted to put her septic system. 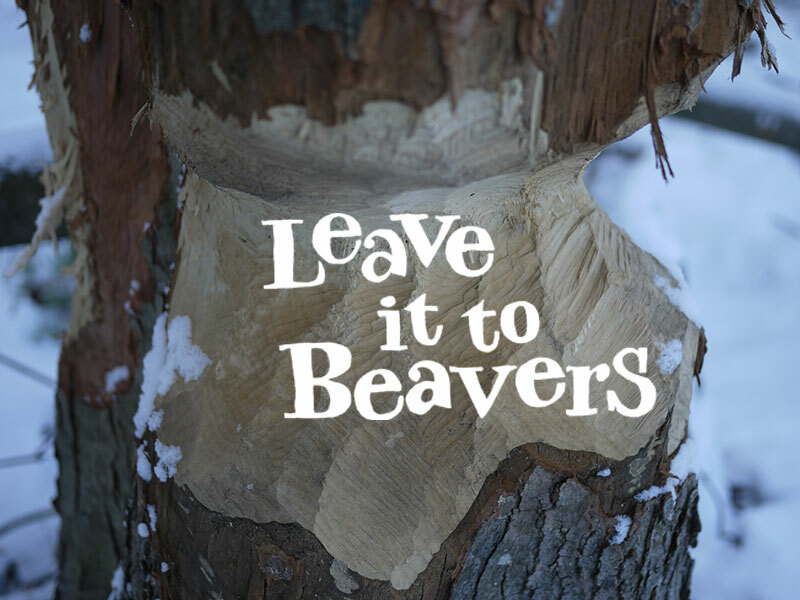 Beavers and people like to live in the same places, and if you pick a fight with a beaver, here’s what you’ve got to consider: we’ve got other stuff to do—jobs, meals to cook, soccer games. Beavers on the other hand, they do one thing: build dams. So if, as in Carol’s case, a beaver were eyeing the same spot that you wanted to live, what would you do? If you’ve never seen a proper, massive beaver dam before, you need to get yourself over to Google image search right now and look at some. The biggest one in the world is about a half a mile long and 13 feet tall, and was identified from outer space. Beaver teeth grow constantly, and they actually have to keep chewing wood to keep them in check. And yes, they do actually just eat wood: they eat the cambium, the soft spongy layer of new growth that’s just under the bark. On the ecological side, beavers do all sorts of great things. Beaver ponds help to ease flooding downstream. They slow water down as it rushes towards the ocean, meaning they help to recharge drinking water aquifers. Their ponds support large numbers of bird species, fish, amphibians, otters. They’re what’s called a keystone species, as in the keystone to an entire ecosystem. Beaver have been kicking around in North America for 2 million years. What’s new, on the millennial time scale, is Europeans. When the Europeans arrived in the US, first came the fur trappers and fur traders, driven by intense demand for top hats, made from felt which is made from beaver fur. (Because nothing says class like putting the world’s second largest rodent on your noggin.) They traded extensively with Native Americans, and paid them for every pelt they brought. After the fur traders, came the farmers. “Beaver were going to be both a source of cash for these settlers and, of course, a problem for these settlers, because beaver are competing for the same environment,” explains Ann Carlos, economic historian from the University of Colorado Boulder. Beaver ponds, once the dams are destroyed and the water drains, turn into something called beaver meadows, which are fantastic places to grow crops. So farmers come in, trap any beaver that are left, destroy the dams, drain the ponds and make their fields. One study found that sixteen states lost more than 50 percent of their wetlands as the settlers rolled in. Another six states, mostly in the Midwest, lost more than 85 percent. “By about 1830, many of these populations were being seriously over harvested, and run down,” notes Carlos. This was especially true in the United States, where all throughout the Northeastern part of the US, beaver were virtually wiped out. Meanwhile, year after year, we’re building. Those farms built on old beaver ponds are connected together by roads. More of the fields are subdivided and turned into housing developments. Bit by bit, we occupied the space the beavers once held. Then in the early 1900s, we brought the beaver back. Why? Because for one, biologists had begun to recognize how good they are for ecosystems. But also people like having beaver around as a game species. In other words, an animal that is around so they can be trapped. So wildlife agencies reintroduced them and helped them build back up until they numbered in the thousands. “Our roads were based on native American trails—a high number of them—and a high number of those native american trails were based on game trails. And I can say as a hunter who has walked all over the state of New Hampshire, their preferred wetland crossing every time has been a beaver dam,” explained Pat Tate, the furbearer biologist for Fish and Game here in New Hampshire. So What Do We Do? Kill them? The paradigm under which we currently operate is called the American system of wildlife management, under which wildlife is a commonly owned resource, and through regulation we decide how many animals we will kill. Are deer eating the shoots off of too many saplings out in the forest? Increase the number of deer hunting permits issued. Are farmers complaining about losing livestock to coyotes? Relax limitations on hunting them. Are there so many beaver that they are expanding wetlands until they flood wells and roads? Call in trappers to reduce beaver populations in that location. This ensures that the population stays below what is called the “biological carrying capacity” which is a fancy science-y way of saying “how many beaver the land can sustain.” Pat Tate is a big believer in keeping animal density low, because he believes it makes the animal’s lives better. Most trappers aren’t doing it for a living, or to feed their families they do it because they want to. They want to connect with a tradition they identify with, or maybe they just like getting outside, and doing the close observation of nature that trapping requires. And trappers I’ve spoken to hear a lot of hypocrisy whenever they hear people call trapping immoral. For instance, a trapper from Southern New Hampshire, Jeff Traynor, points out there isn’t the same outrage at housing developments or highways or parking lots: forces that have just as much to do with keeping beaver populations low. Or Just Keep Them Off Our Lawns? The proponents of restricting beaver trapping often point out that while some management decisions are based on ecosystems science—with government biologists going out and to try to estimate how many animals the land can sustain— other times, the decision is based on our willingness to tolerate animals. This is, almost euphemistically, what we call the “cultural carrying capacity.” And for beavers, it’s often that cultural limit, and not the actual limits of the habitat, that they bump up against. Skip and his disciples argue they can increase society's tolerance for beaver by keeping the two species from coming into conflict. Beavers’ damming instinct is triggered by running water, and by using a clever arrangements of grates, culverts, and drainage pipes, Skip keeps beaver far enough away from the running water that they don’t get the urge to start building a dam. By putting in this type of “fixed protection” whenever a conflict arises, Skip argues we can have the best of both worlds: a growing beaver population and an infrastructure that isn’t submerged under beaver ponds. For him, the argument that trapping leads to a healthier population is beside the point. This is a pond leveler or flow device, prior to being installed. This device tricks the beaver into believing that his or her dam is working. | photo courtesy of Mike Callahan. These pipes and fences, limit where and how much habitat beavers can make. When the young beaver in these beaver colonies move out of their parents lodge, they won’t be able to just make this pond bigger and move to the other side. Instead of coming into conflict with humans who live close to the pond of their birth, they set off over land, and come into conflict with things that normally keep beaver populations in check: predators or other beaver. Or maybe they’ll just wind in somebody else’s backyard; someone less dedicated to a non-lethal intervention. What Would Happen If Trapping Went Away? “As a result, the conflicts with people and the complaints essentially skyrocketed,” said Dave Wattles, the furbearer biologist for MassWildlife. Mike Callahan of BeaverSolutions.com installed a flow control device on our beaver pond, to maintain the pond at its current level. While the beaver advocates likely see the population boom as a victory, the rise in complaints had unintended consequences. In 2001 the state legislature passed a bill allowing kill trapping to be done through an emergency permitting process. Now though, those permits are given out by towns, instead of the state. This means that the state is no longer collecting data about how much trapping happens in Massachusetts, and that beaver can be trapped in the spring when it's possible to kill mothers, thus leaving young kits abandoned. Carol Leonard, who started off our story, spent seven-years trying to figure out how to fool the beavers on her property. “In my naivete I said oh well we’ll try these beaver deceivers and these beaver bafflers and all these do-hickers,” she recalled. But eventually she gave up and apprenticed with a trapper, and started to trap out the animals that threatened her property. “We are meat eaters, you know, we are hunter gatherers, it’s part of who we are. And so to be able to turn a blind eye to that is just a blind eye,” she said. She applauds animal rights activists, but says she thinks their efforts are better spent protesting concentrated animal feeding operations, or other places where animals live short and miserable lives before heading to our plates. “I think the traditions of hunting and trapping in New England are good, healthy traditions. And I can’t talk against hunters… I can’t. I’m a meat-eater." Carol says she has trapped somewhere in the neighborhood of 30 beavers from her property, and while many still remain just downstream, the pond that was threatening her septic setback is no longer growing. In 2015, she and her husband were able to start construction and their home, now completed, is gorgeous, judging from a recent photo spread done by Down East Magazine. Beavers and people, we like to live in the same places. And if you ever find that a family of them are eying the same spot as you... well, good luck. A beaver lodge on a pond in Art Wolinsky's neighborhood. Art Wolinsky shows Sam the beaver deceiver. This is how Art Wolinksy tricks the beavers into believing their dam is working. Sam and Art Wolinksy talking to a neighbor who was in the process of cleaning up some of the beaver chewed trees. Jeff Traynor showing the different layers of fur in a beaver pelt. Jeff Traynor and Sam install a new beaver trap in the pond. Jeff Traynor looking out over the pond. A view of the private pond Jeff Traynor traps beavers on. Sam prepping his recording equipment. Sam Evans-Brown, with help from, Maureen McMurray, Molly Donahue, and Jimmy Gutierrez. Logan Shannon was our digital producer. Thanks this week to Ben Goldfarb, Dave Wattles, and Peter Busher, all beaver pros who helped me sort this week’s story out. Music this week from Ari De Niro, The Marian Circle Drum Brigade, Blue Dot Sessions, Revolution Void, Jason Leonard and Podington Bear. Check out the Free Music Archive for more tracks from these artists. Outside/In is a production of New Hampshire Public Radio. Sam won’t tell you this, but he’s a really great athlete. He has another secret, too. There’s this photo of him leading a ski race, and it’s plastered on the side of a city bus in Argentina. So, how did Sam wind up on the side of a bus? This story explains. Hey, Is That Sam...On the Side of a Bus? A couple of months ago, I got a surprise blast from the past, in the form of a Facebook post. One of my coworkers captured the moment on her phone. If you’ve been listening to the show, it won’t surprise you to hear that I participate in a variety of endurance sports. But it might surprise you to know that my participation caused me to be plastered all over the side of a bus in Argentina. So today, I’m going to tell the story of how I wound up on that bus, but I’m also going to tell the story of the man who got second place. A racer named Martin Bianchi, who made a split second decision in that race that would change the course of his athletic career–and his outlook on life. Martin grew up in Ushuaia, Argentina which bills itself as the southernmost city in the world. It's so far south, it's one of the cities that scientific voyages to Antarctica depart from. He started skiing young, and during his teenage years he chased the snow. He would spend part of the year in Spain, racing the mountains of the Pyrenees. Then travel back to his home in Argentina, go to school and have another winter ski season in the Southern Hemisphere, racing in Ushuaia. All too often, this is the fate of skiers from countries without any real national teams, coaches, support networks, or competitive race circuits. They spend their whole life training, and then wind up in 86th. But when he returned home after the Olympics, there were no Argentine athletes preparing to take up the mantle in four years, ensuring a continuous line of Olympians. So even though he’d gotten married right before the Olympics, and was thinking about having kids, he kept training. He got a job teaching part-time phys-ed to kindergartners. It wasn’t enough to support a family, but it allowed him to keep training. When I was 22, I was obsessed with cross-country ski racing. I never seriously thought I was good enough to go to the Olympics, but I was pretty into it and at one point was ranked pretty well nationally. In the summer of 2008, I flew to Ushuaia to train. Remember, it’s the southern hemisphere so it was their winter. I found a gig helping out at a restaurant next to the ski trails. I slept above the kitchen, even though the building had no heat or electricity once its power generator shut off for the day. I washed dishes for a few hours in the afternoon, helped with any tourists who stayed for snowshoe tours in the evening, but the rest of the time, I skied. Hours of skiing every day. All of that training led up to the big event in Ushuaia, a race called the Marchablanca. Historically, back before competitive cross country skiing was all about lycra and lightweight, narrow skis that require carefully groomed snow, the race used to cross over the spine of the Andes. Today it’s a pretty standard 13 mile race that has turned into a festival. “Maybe the best way to understand our cross-country skiing culture, in Tierra del Fuego is to go to the Marchablanca,” says Martin. Hundreds of people show up to race and watch the Marchablanca, including many who show up to compete wearing goofy costumes, but there are a few competitive racers in the pack. And that is how I found myself on a starting line with Martin Bianchi. The race immediately separated out into a pack of five skiers, and then four, and then after just a few minutes, there were only three of us: Martin Bianchi; a skier who would later go on to race in the Sochi Olympics, Federico Cichero; and me. The course of the Marchablanca is a single, 21 kilometer loop. It weaves in and out of the forest, but the majority of it travels over big open plains of frozen peat moss. And all throughout those forests and frozen bogs there’s a secret hazard lurking beneath the snow. Beavers, in Tierra del Fuego, are an invasive species. How about that? “And it has an impact on the ski trails. Often, they simply build up a dam and flood the trail. So we have to do a lot of beaver control, and back then they weren’t doing it!” says Martin. “Well, if I remember right, we were trading off who was leading, as we went. And I knew that in that moment I could win because we were about on par with each other. And I had faith that in the final big climb, I could get some distance on you. “But I got a surprise, and I’m being sincere, here, Sam. That before that climb, which they call the subida de los hacheros, I couldn’t pass you. And so I climbed the hill behind you, without being able to pass you, going a maybe a little slower than I would have liked to go, because generally I’m good at going uphill. “When we got to the top of the climb, we had to turn sharply to the right and go down a hill. And this downhill ended by going over a beaver bog. Much to your surprise! “The ski tracks—which normally you get into the tracks when you go down a hill— the tracks went over the beaver dam, over a part which rose up because of a rock, and the trail groomer had passed over that. So the tracks weren’t level and they sort of threw you into a jump. “This downhill drop slope was very fast. It was short but very steep. And when we finished the climb and started to go down, we got into the tracks, I looked ahead and saw that the tracks went over the rock and I immediately realized there was a jump there. “And there, still ahead of me, you hit the rock, and went off the jump and you were knocked off balance and you went off the trail. And I passed you. I was able to avoid it and go around you. “And it was in this moment that I said, ‘Well, that’s it, it’s over.’ I passed you with all the speed from this downhill slope. So right there I took fifteen, twenty meters, from you, easy. And you still had to make your way back onto the trail and regain your momentum. “So I had this fantastic opportunity to go, to keep hammering, and leave you behind. “But to tell you the truth, something happened in my head that told me this wasn’t right. You had climbed the hill well, you had done the downhill well. The only thing is that you hadn’t noticed that the trail had a jump in it—a thing that shouldn’t have been there—and it was because of that jump that you went off the trail, you lost all your momentum. I flailed my way out of the powder, and frantically skied back up the hill trying to catch Martin. Given how slow he was going, it didn’t take long before the racing came back together, and it was nip and tuck again. The rest of the race was a bit of a blur. Right before the finish, our race merged into the trail being used by the more popular event, with people skiing in costumes. For me, that was the end of the story. I won a race. They gave me a trophy. I went home. And telling people I won the National Ski Championship of Argentina was an eccentric biographical detail I could share at parties. But then, years later. An email arrived in my inbox from Martin. It turns out there was something else that happened that day. Something which I had completely forgotten, but which Martin reminded me of when I spoke with him. After the race, I came up to him, and asked him why he had waited. “I said, ‘Yeah, sure Sam, I waited because I wanted us to have a clear winner,’ and we left it at that,” he says. Later, when we were at the awards ceremony, apparently (again, I forgot all this) I tried to hand him the trophy, which he waved off. A representative from the Argentine Olympic Committee saw this exchange and asked what it was all about, so Martin told him the whole story. This included the Argentine Soccer team, who won the gold medal in Beijing that year. (Messi was not in attendance, sadly.) This would be like being presented to a room full of the most famous athletes in the country. He met his country’s equivalent of Bob Costas, the Olympics host for NBC, and an article about him was featured in the country’s biggest newspaper. “This is one of my best memories, so this race is going to stay with me for the rest of my life. And after getting this prize, I think it was kind of like a signal, that things were alright, I could retire, that I had done enough, I had left enough of a mark on the sport,” he says. Now when Martin races, he does it for fun. He wears costumes, he skis with his wife, he doesn’t pressure himself. Today, he has 3 kids, a job in the ministry of tourism, which pays much better than part-time phys-ed teacher. 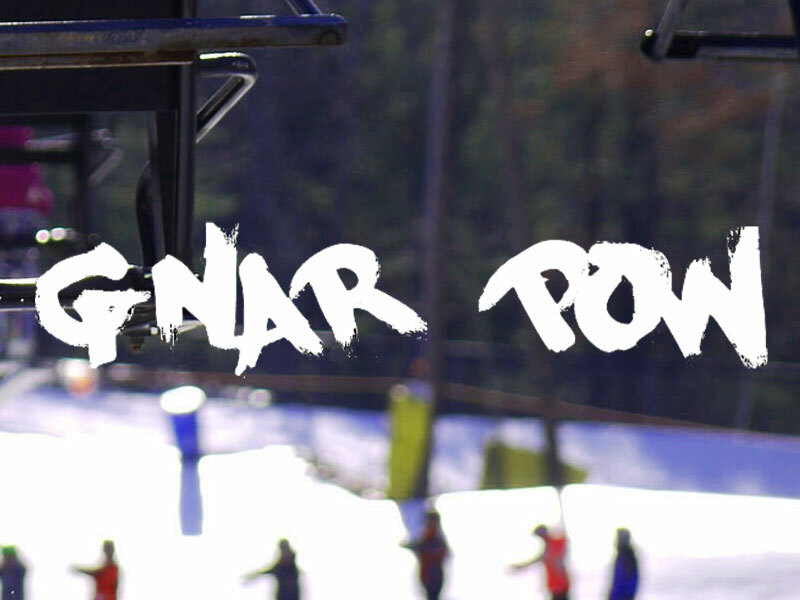 He’s hung up his commitment to ski racing, but not his love for it. And yes, years later, a photo of us together at the front of that race, was plastered all over the side of a city bus. Sam Evans-Brown and Logan Shannon, with help from Maureen McMurray, Taylor Quimby, Molly Donahue and Jimmy Gutierrez. Special thanks this week to Martin Bianchi for taking the trouble to connect with us from the far end of another continent, and to Luis Antonio Perez for helping out with Spanish translation and being Martin’s voice in English. If you’ve got a question for our Ask Sam hotline, give us a call! We’re always looking for rabbit holes to dive down into. Leave us a voicemail at: 1-603-223-2448. Don’t forget to leave a number so we can call you back. This week’s episode featured tracks from Blue Dot Sessions, Poddington Bear, and Tyler Gibbons. Check out the Free Music Archive for more tracks from these artists. When you walk a trail in the woods, have you ever wondered, how did this get here? Who carved this path? Chances are a team of hardscrabble men and women worked tirelessly to make sure the paths you follow blend right into the landscape. This week we find out why one such trail crew, known as the 'TFC', is the stuff of legend. Also, running and completing a marathon is an amazing achievement that is the culmination of many hours of hard mental and physical training. But can you really claim you finished when you collapse just a few yards from the finish, or is that cheating. And we'll finish it off with a heartwarming story of the ultimate gesture of sportsmanship from a place called Ushuaia, Argentina known as the "End of the World". Note: This is an hour-long broadcast version of our show made especially for the radio. This show is made up of stories subscribers to the podcast have already heard so it won't show up in your podcast feed. If you'd like to hear us on the airwaves instead of just in your earbuds, consider asking your local public radio station to air the show! We're currently offering up our seasons for FREE! And if you'd like to support the work that we do, consider supporting NHPR, the NPR member station for the great state of New Hampshire, and the entity that pays our bills. Thanks! Ari Ofsevit is a guy from Boston fueled by an intense, nerdy love for sports. The day after running this year’s Boston Marathon, his face was all over the cover of the Boston Globe and on all of the network news channels, but on the internet, people were accusing him of cheating. This is Ari’s story. When you walk a trail in the woods, have you ever wondered, how did this get here? Who carved this path? Was this stone staircase always like this? Nope. Chances are a team of hardscrabble men and women worked tirelessly to make sure the paths you follow blend right into the landscape. In this story, we find out why one such trail crew, known as the 'TFC', is the stuff of legend. In 2008, our host, Sam Evans-Brown, won the biggest ski race in Argentina, the Marchablanca. For him that was the whole story, but for the skier on the second step of the podium—a former Olympian named Martin Bianchi—that race marked a major turning point in his life. 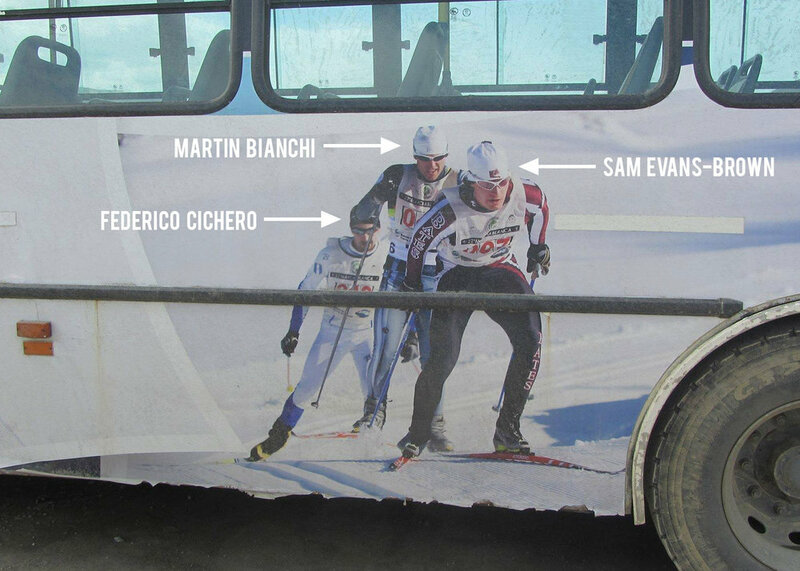 Special thanks to Martin Bianchi for giving Sam the big win and the opportunity to be a bus graphic celebrity in Argentina. Also thanks to Luis Antonio Perez for playing the part of Martin in our story; Weldon Johnson, former Yale runner and the co-founder of Let's Run; and former TFC members Kyle Peckham, Natalie Beittel, who are assembling a book of stories from the crew, and Barbara Whiton of the Trail Crew Association. Thanks as well to Rob Burbank of the AMC and Cristine Bailey of the National Forest Service, for setting up our day out on the trail. This week’s episode includes tracks from Blue Dot Sessions, Podington Bear, and Tyler Gibbon. Check out the Free Music Archive for more tracks from these artists.